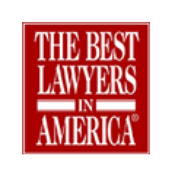 Top Rated Collingswood Medical Malpractice Lawyers | Andres & Berger, P.C. When you visit an emergency room, hospital, or doctor’s office in Collingswood, New Jersey, you depend on trained medical professionals to accurately diagnose possible illnesses and quickly treat you for any potentially life-threatening conditions. A misdiagnosis by your doctor could lead to delayed treatment. 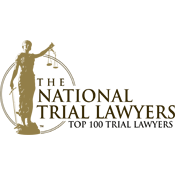 Depending on the nature of your medical condition, any kind of delay might be catastrophic and result in permanent injury or even loss of life. That’s why it is important for you to speak with a qualified medical malpractice attorney about your situation. A skilled attorney can fight on your behalf and hold the negligent doctor, surgeon, or nurse responsible for their careless mistakes and negligence. If you or a loved one received substandard medical treatment at a hospital in Collingswood, or anywhere else in Camden County, NJ, The Law Offices of Andres & Berger is ready to help you. Call us anytime to schedule a free consultation and explore your legal options. The Law Offices of Andres & Berger, P.C. has helped countless clients successfully file medical malpractice claims in Camden County, NJ. We can help you secure winning results and get compensation for damages stemming from a hospital error. 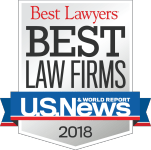 The South Jersey legal team at Andres & Berger has won millions of dollars for hospital negligence victims who sustained injuries due to anesthesia malpractice, misdiagnosis of cancer, and surgical error. 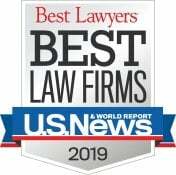 Moreover, our experienced medical malpractice lawyers have been recognized as “Awesome Attorneys” by South Jersey Magazine, while the firm itself was recognized as a “Best Law Firm” by U.S. News & World Report. One of the firm’s attorneys who specializes in medical malpractice law is Michael S. Berger. Mr. Berger has distinguished credentials: he served as the President of the Association of Trial Lawyers of America – New Jersey; he was a member of the NJ Supreme Court Civil Practice Committee and Model Jury Charge Committee; he has an “AV” rating by Martindale Hubbell; and he is admitted to practice law in state and federal courts in New Jersey and Pennsylvania. 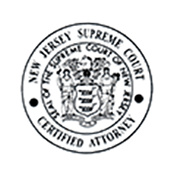 Other attorneys at Andres & Berger, P.C., such as Kenneth G. Andres and Tommie Ann Gibney, are experienced litigators who have successfully represented numerous clients in personal injury cases and nursing home abuse cases in New Jersey. 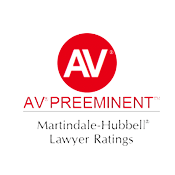 Regardless of the nature of your injury, you can count on the Andres & Berger legal team to work diligently on your behalf and help you get the financial compensation you are entitled to. Surgical mistakes can result in the most severe injuries and can cause victims to suffer extreme pain and suffering. Beyond that, a surgical error can lead to significant medical expenses. The experienced Collingswood medical malpractice attorneys at Andres & Berger, P.C. will help you get justice for your injury, illness, or loss. 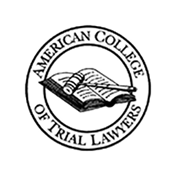 We offer an absolutely free initial injury consultation and we work on contingency in medical malpractice cases, so we only get paid if we collect damages on your behalf. Contact us now to discuss your case over the phone or arrange an in-person meeting at our conveniently located office in Haddonfield, NJ. Collingswood is a borough located in the northern area of Camden County, NJ. The population of Collingswood, NJ is 14,010 residents, according to the most recent Census. Those residents live on a total geographic area of approximately 1.9 square miles. Collingswood is bordered by Camden, Haddon Township, Oaklyn, Pennsauken Township, and Woodlynne. The Cooper River, which flows into the Delaware River, runs through Collingswood, as well as other municipalities in New Jersey like Camden, Cherry Hill, Haddonfield, and Voorhees. Knight Park is the main unincorporated community in Collingswood. The Knight Park Playground is a 60-acre space that is open to the public and that includes sports fields and a large playground for children. Residents of Collingswood, as well as visitors to the borough, often flock to Knight Park to play baseball, softball, and lacrosse. The main hospital used for healthcare emergencies in Collingswood, NJ is Our Lady of Lourdes Medical Center, which is located on Haddon Avenue in nearby Camden. The hospital provides specialized medical treatment for cardiovascular issues.